Our website has been renewed and refreshed! We are always attempting to provide the latest and up-to-date information for You. Therefore, we rationalized our product portfolio and now we’re launching our renewed website! As you can see, it has a new, nice and clear appearance with better approach to find targeted products for your needs. We hope that we can guide you even better to find the best M2M, IoT products and smart solutions. Let’s see the new features! Brand new Smart Metering & Smart City solutions! As time goes by our new developments, upcoming technologies, we also had to discontinued some of our products. If you are looking for a former M2M products, just let us know: send us a message and we’ll contact you soon. Dear our Customer, our Visitor! Certainly, you could have become aware that from 25 May 2018 it’s obligatory to apply the legal provisions of the European Union’s General Data Protection Regulation (GDPR, hereinafter: “Regulation”). This Regulation in the European Union strictly specifies the principles of personal data protection, which our company is becoming to completely apply. According to this Regulation, our company revised the Privacy Statement, which can be found (or download) through this link. Until now, we used Your personal data only for the purpose of sending our Newsletters (by the WM Systems LLC) for you, and in the future it will be also used only for the same purpose. Your related personal data will not be published to third person, and will be not used for any other purpose, which activities are restricted by the Regulation. The goal of our newsletters is to notify our Visitors and Customers about the latest technologies, our new services, upcoming developments – which can help your business even more efficiently, by offering cost-effective solutions for your Business and Company. If you want to stay connected with us, would like to notified about our promotions, current product developments, technological innovations, then You don’t need to make any further action. If you do not want to receive more newsletters from us, here you can send an unsubscription request and we will not sending you further messages. It’s our 15th anniversary – celebrate with us! 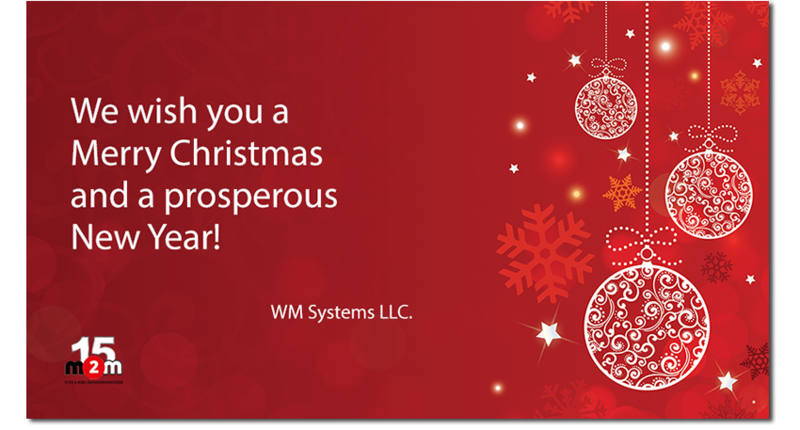 WM Systems LLC. ©2019 All rights reserved!